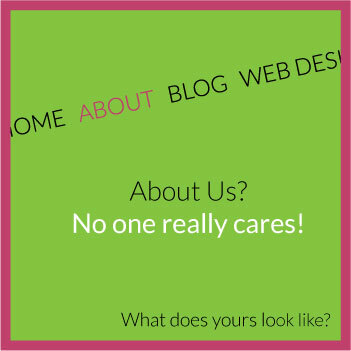 What Do You have on The “About Us” Page on Your Website? 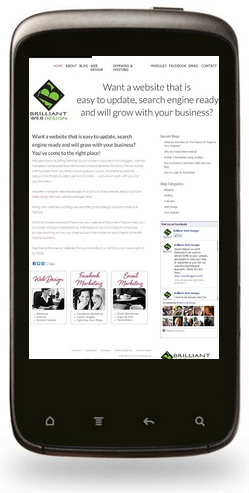 It’s been said that the About Us Page is one of the most widely read on a website. Why? Well people want to do business with people that they feel comfortable with, so they’re going to find out as much as they can about you. But here is the thing. Don’t … yes that is DON’T … write your page all about you. Well that’s a contradiction. Yes, it sure is! So what do I do? Well people think that they want to read all about you, but in actual fact they are more interested in themselves. And you fix this by writing about what you can do for them. It covers both. Headline: Write a Persuasive, Benefit-Driven Headline. People want to know what your site can do for them so put this information into your headline. Introduction: Write a Short, Reassuring Benefit-Driven Introduction. Tell people what you can do for them – really the reason why they are on your website. Proof: Reassure people. Give them Social Proof and Testimonials. About You: Finally you can talk about yourself, keeping in mind that your reader is there for themselves. The Closer: When you’re running a business website you should always ask people to take action. Download my ebook, subscribe to my list, call for a consultation. What is your About Us page like? Is it time to change it? Join the conversation on our Facebook Page. You can check out Derek’s blog post here.